The testo 160 Wi-Fi data logging series was designed to monitor art gallery environments so you don't have to. The longer you stare at a painting, the more it reveals about itself and the artist. It can also reveal something else: The condition it's being kept in. Art gallery managers that don't keep close watch on the environmental setting can suffer serious consequences. But, through careful monitoring with the testo 160 THL, personnel can quickly respond to any changes and preserve the integrity of artwork. Stability is key to supporting the longevity of paintings. 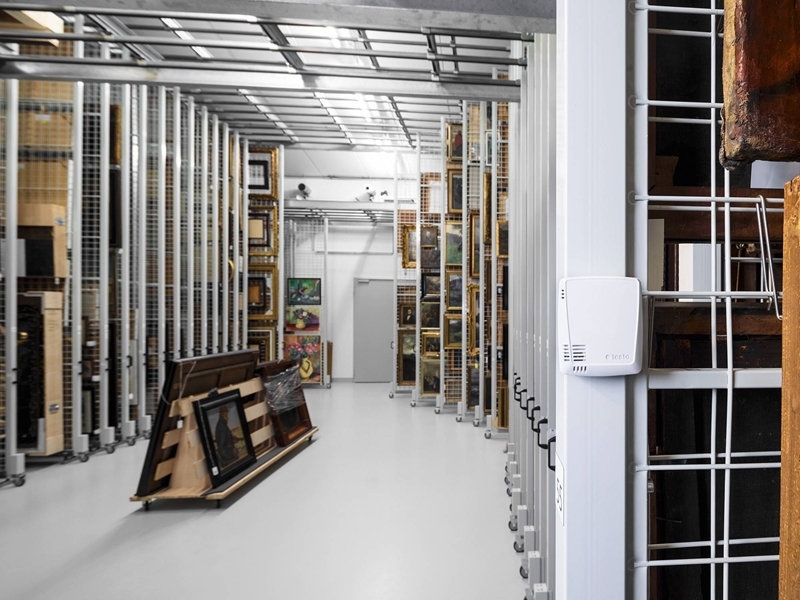 Gallery managers should aim to keep the relative humidity (RH) levels in both storage and showrooms at 50 per cent, and avoid anything over a 3 per cent deviation, the National Gallery of Australia reported. The testo 160 series can be deployed to monitor storage or display settings. The byproduct of not constantly monitoring the conditions in which artwork is kept is the continuous expansion and contraction of the canvas. Should this go left unchecked, art galleries will quickly find that many of the paintings stored there will fall into disrepair. Similar to RH, art galleries must maintain a closely controlled climate. For storage and showcasing, 20ºC is generally an acceptable level. There's little room for fluctuation – anything 1ºC above or below can immediately trigger deterioration. 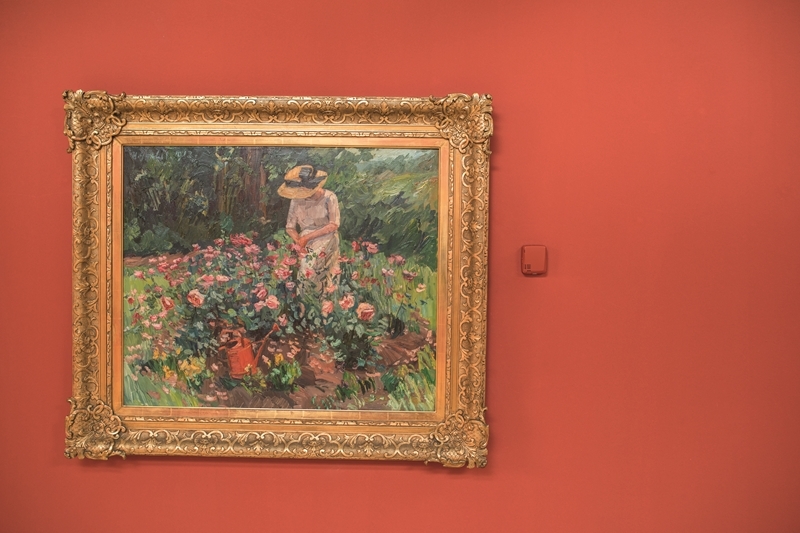 Given that many paintings contain organic compounds, changes in temperature will indirectly affect them, according to Museums Australia Victoria. They can essentially speed up the degradation caused by inconsistencies in RH, as well as contribute to the growth of mould and fungus. Every art gallery uses lighting to portray artwork the way it was originally intended to be shown – but sometimes it can shine a little to brightly. It's recommended to limit exposure to light as much as possible. When necessary, paintings should only be displayed in an area with under 50 lux. The testo 160 THL blends in with its surroundings and doesn't distract from artwork. Light and the associated ultraviolet (UV) radiation can cause chemical imbalances in the colouring of the artwork. Over time this can degrade its quality. Given that many paintings were created with palettes that are no longer available, this can render its authenticity useless and pose a problem for preservationists. The testo 160 THL constantly monitors the environment with internal humidity, temperature, lux and UV sensors that log the data of their surroundings at a set time. Any fluctuations are reported immediately through text or email, allowing the personnel to respond quickly and fix the issue. Contact a Testo representative today to learn more.